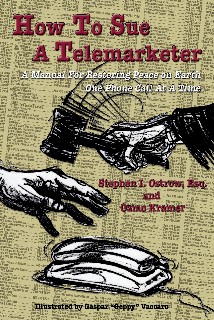 In August and September Steve Ostrow will do a virtual book tour to promote his book How to Sue a Telemarketer: A manual for restoring peace on earth one phone call at a time. During the tour – He will be doing written and radio interviews, and is offering some copies of the book for people to read and write a review. We are looking for a variety of bloggers: Mom and Dad bloggers, book reviewers, small business people, informal legal topic blogs and humor and comedy blogs. 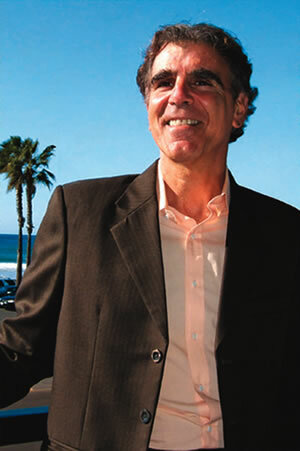 A former trial lawyer, Ostrow has served as a small claims judge in Los Angeles and San Diego Counties, received his license as a real estate broker, worked as a real estate investor and facilitated over 200 clients (both lenders and borrowers) through the foreclosure process, advising them on all aspects of the procedure. In addition to his work as an attorney, Steve has served on the board of the Solana Beach Chamber of Commerce, Toastmasters, Canine Companions for Independence, and Eveoke Dance Theater. He has even worked as a celebrity impersonator based on the television character Kramer, played by actor Michael Richards on the famed Seinfeld television show. A graduate from the Rick Stevens School of Improvisation in San Diego, and an award- winning Toastmaster, Steve has achieved success in the celebrity look-alike and improvisational worlds. In his first year of improvisational comedy, International Celebrity Images presented him with the prestigious Reel Award for Big Mouth Comedy for his Kramer impersonations. He has performed at conventions across the globe and made appearances on the Tonight Show, Jimmy Kimmel and The Ellen DeGeneres Show. In his capacity as both a lawyer and a celebrity impersonator, Steve has been interviewed by The San Diego Union, The San Diego Weekly Reader, Duke Magazine in Australia, the Long Beach Telegram, and Las Vegas Magazine. “I wrote this book for all the good, kind and ordinary people of the world who simply want to have a quiet dinner, or a beer and watch a basketball game, without getting interrupted by someone who doesn’t give a damn about them,” says Ostrow. To date, Steve has successfully sued, or settled won and collected over 10 judgments against telemarketers. August 2: Joyce Anthony starts off our tour for Steve Ostrow and How To Sue a Telemarketer at http://joyce-anthony.blogspot.com/2010/08/turning-table-on-telemarketers.html. August 30: Susan Heim will be hosting Steve Ostrow at http://susanheim.blogspot.com/2010/08/how-to-sue-telemarketer-in-small-claims.html. September 14: Laina Turner will be hosting Steve Ostrow today at http://lainamolaski.com/2010/09/13/stop-the-pain-in-the-you-know-what-telemarketers/.